France and Germany want EU to fund ambitious tech start-ups. In an effort to help Europe better compete against the US and China, France and Germany are pushing for an EU-wide initiative to help fund innovation and research for technology start-ups. Europe lacks the strong venture capital industry responsible for funding Silicon Valley start-ups and its more risk-averse culture has been a barrier standing in the way of creating a “European Google”. 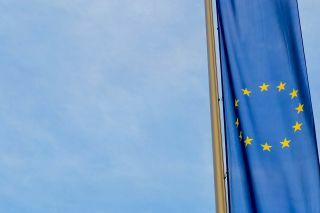 Ahead of a summit of EU leaders that will take place in June, France and Germany are also pushing for reforms across a variety of sectors and want Europe to be ahead of other regions when it comes to new digital technologies. In the paper, both countries laid out a plan to create a network which would allow breakthrough innovations in science to come to market faster. While individual countries may have their own national initiatives, France and Germany want these to be complemented by EU ones to add value for the establishment and to help tech start-ups grow. France has already shown strong support for its own tech sector by pledging to spend $1.75bn on artificial intelligence by 2022 and hopefully other EU countries will follow its example.